There is so much to say, yet I'm not sure if I have the words to do so, at the moment, in English. 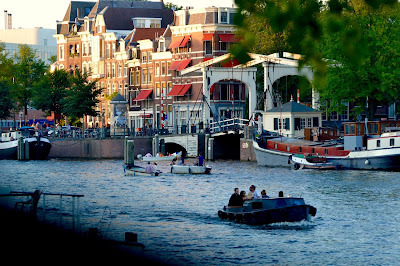 Sunsets and sunrises in Amsterdam; I have been present for a few sunrises throughout the summer, without having slept the night before–staring across the undulating, rippling waters of the Amstel. So instead of writing away my feelings, as useful as it is, I've pushed them into a poem, written last night on my phone, once again staring out to the surface of the Amstel–gazing across, to the moon and its soft light. Confronting a flurry of choices, I'm, once again, unsure of which foot will lead, calling back to the one behind, as both stride forward to the future. I've been to Rome, and London twice, since I last wrote here; so many Old Master paintings I have seen, so many news faces, and places, I've experienced. I’ve, over the summer, fallen into the flow of London; its energy unfrantic, even inviting; its urbanity consuming. It's a metaphor for accepting myself in Europe. I am, actually, unlike as I wrote to myself in 2009, a European–a citizen of the former Republic. I’m more comfortable with me, than I’ve ever been before. And I'm, more then ever, sure of what I know, and, perhaps more importantly–what I do not. I’m building myself, and quickly–along the way–expanding my world while simultaneously accepting the guidance and mentorship, from those who keep extending, many clusters of their deep-olivine-hued, olive branches, who keep lifting me higher, in every way. Wat is een Amsterdams avondje? Een Amsterdamse middag? Een dag? 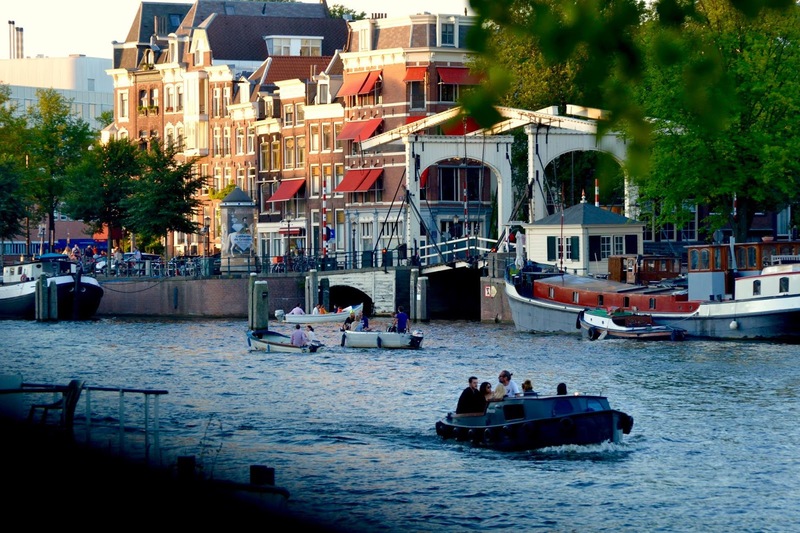 Wat, is een Amsterdamse ochtend? Wat is er, dat ik nog niet ervaart? Wat zijn m'n grenzen? Met m'n, lichaam? Hoofd? Wat is huwelijk; Wat is de grens, tussen hij, en mij? Wie ben ik; wat wil ik zijn; wie zou ik worden?